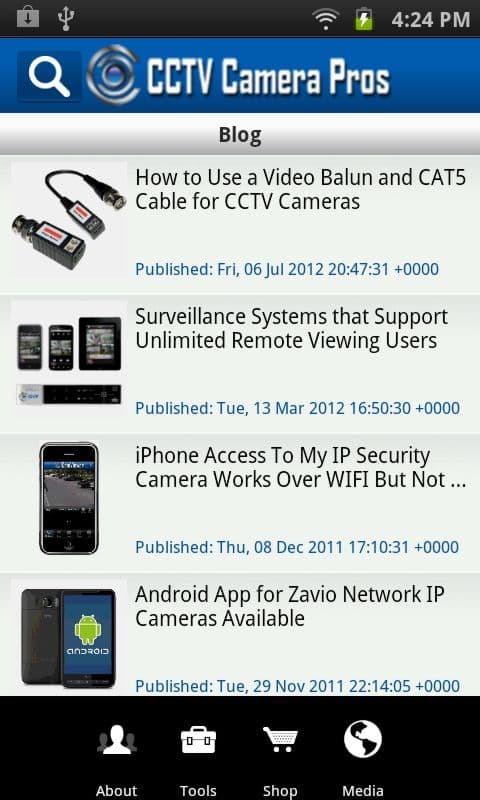 CCTV Camera Pros today announced the availability of CCTV Camera Pros Mobile App for Android. 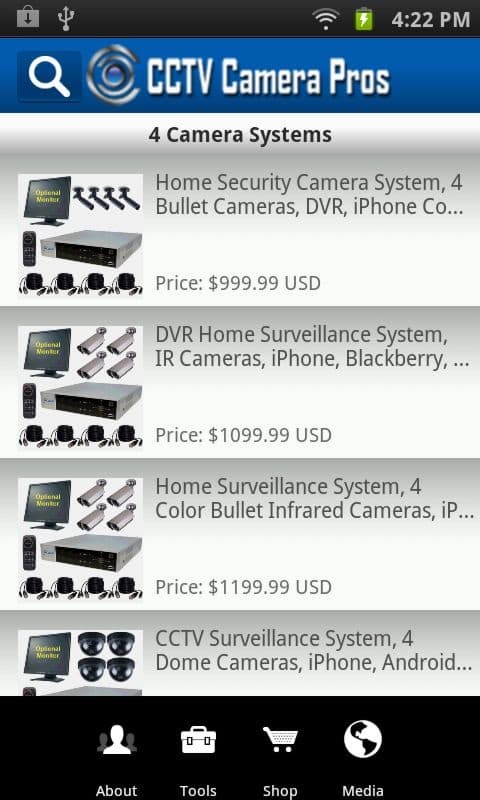 In addition to letting customers research and shop for video surveillance products from their Android phone, the app also contains valuable installation tools for security installers to use when planning and installing security camera systems. CCTV Camera Pros will be adding additional tools based on feedback and requests from users of the application. In this first release, the app contains the following online tools. 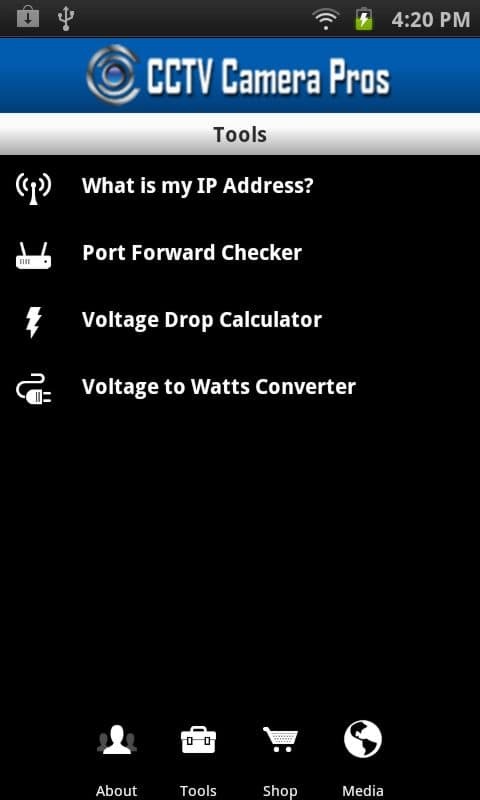 What is my IP address – allows users to quickly obtain the WAN / Internet IP address of the Internet connection that their Android device is connected to. 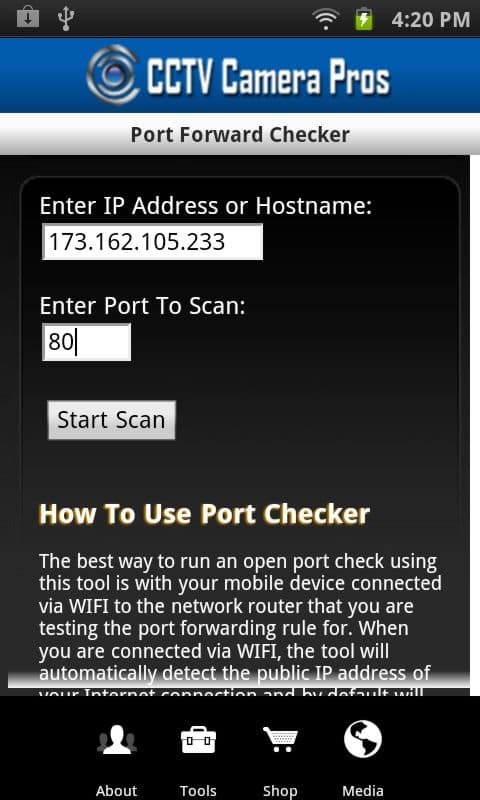 Port Forward Checker – allows users to test router port forwarding rules, when setting up IP cameras, network DVRs, or other network devices for remote Internet access. 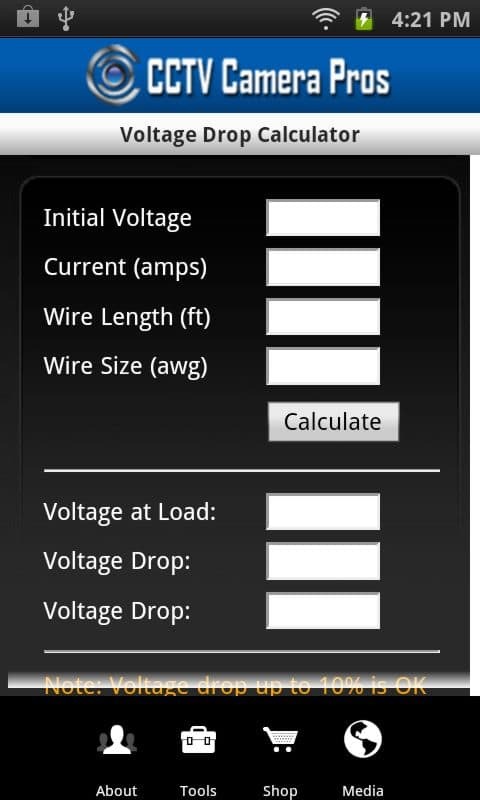 Voltage Drop Calculator – used by low voltage installers to calculate AC or DC voltage drops in amps according to cable run distance and power required by the device. Voltage to Watts Converter – allows users to convert volts, watts, and amps. 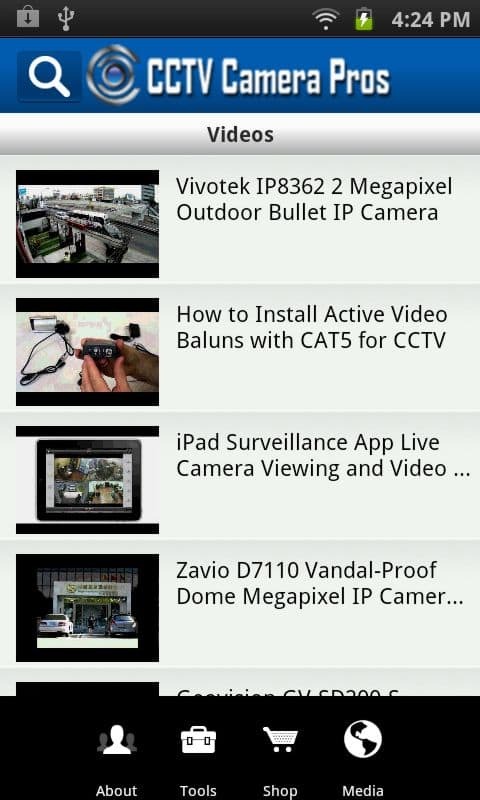 The below screenshots show some of the features of CCTV Camera Pros Mobile App for Android. Please click on any of the below images to access a larger image view. CCTV Camera Pros is a direct supplier of security cameras and video surveillance systems for home, business and government. We are proudly a US veteran owned business and are located in Lantana, Florida in Palm Beach County. CCTV Camera Pros can assist in the design of IP and CCTV surveillance systems for any size application. Please visit www.cctvcamerapros.com to learn more about us and the products that we supply. AppBurst is a mobile application development company that builds iPhone, iPad, and Android mobile apps for business, events, organizations, and to promote just about anything. For more information about AppBurst, please visit www.appburst.com.